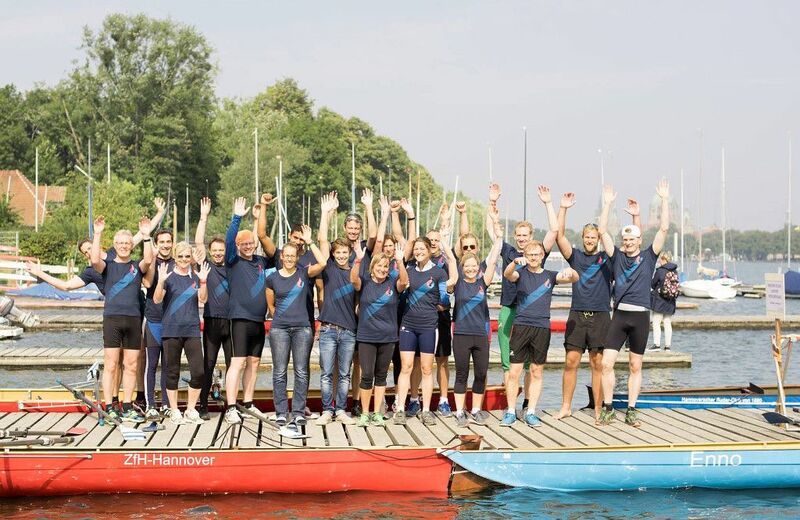 The 9th European Universities Rowing Championship, took place together with accompanying activities in the European Week of Sport in Hannover by the Lake Maschsee between September 9 and 12, 2015. The event officially started with a special opening ceremony on Thursday, September 10, 2015, after the official press conference and the General Technical Meeting which took part in the previous days. 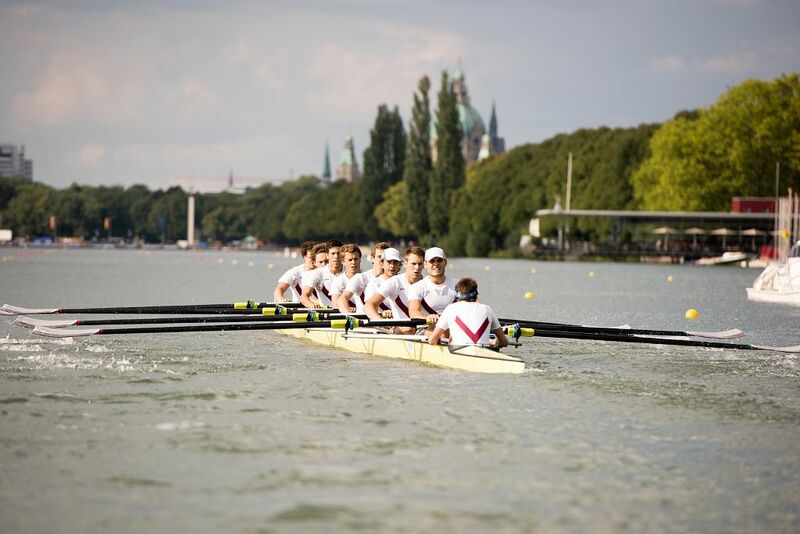 The German city of Hannover hosted the 9th European Universities Rowing Championship between September 9 and 12, 2015. The event was very successful, with record numbers for rowing - 550 participants took part in 20 disciplines, representing 78 universities from 18 countries. 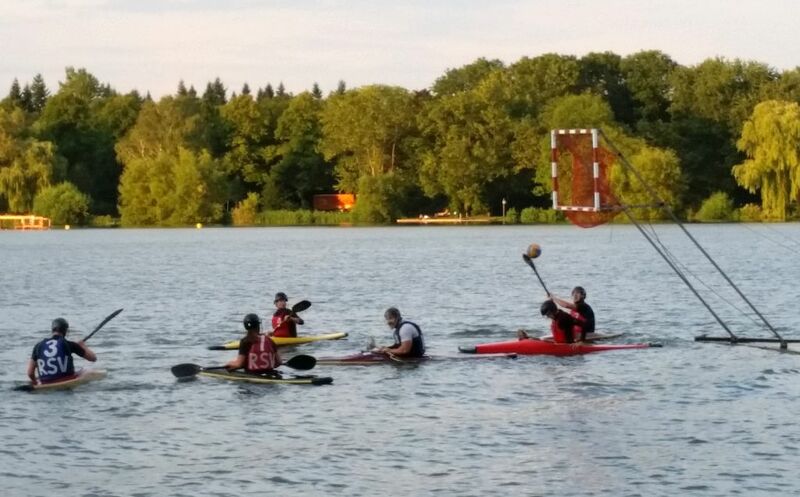 After three days of rowing competitions, culture, social activities and #BeActive activities additionally promoting the European Week of Sport, the medal awardings were carried out on Saturday, September 12 at the rowing course on the Lake Maschsee. The evening of nations was held the evening before, featuring the reception at the City Hall, where representative of all participating universities were greeted by the Vice-Mayor of Hannover and other city officials. 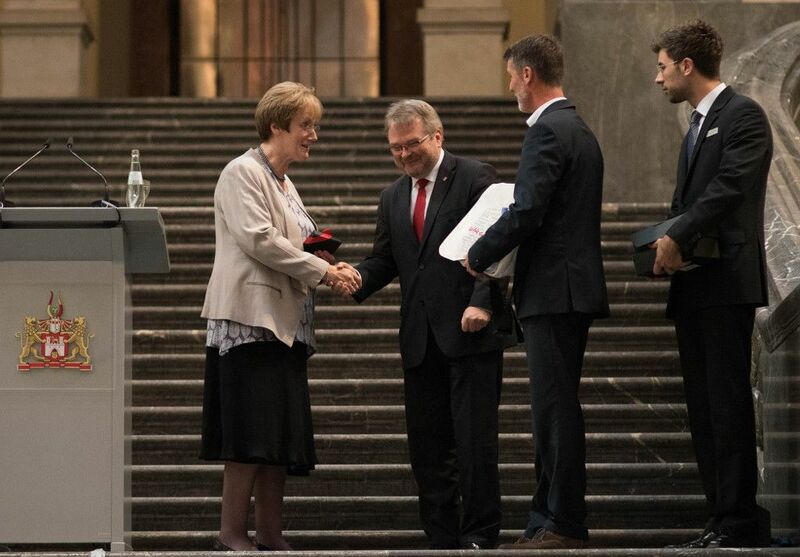 EUSA representative Mrs Alison Odell took the opportunity to publicly acknowledge and thank the two largest partners of the event – the City of Hannover and the Leibniz University of Hannover. 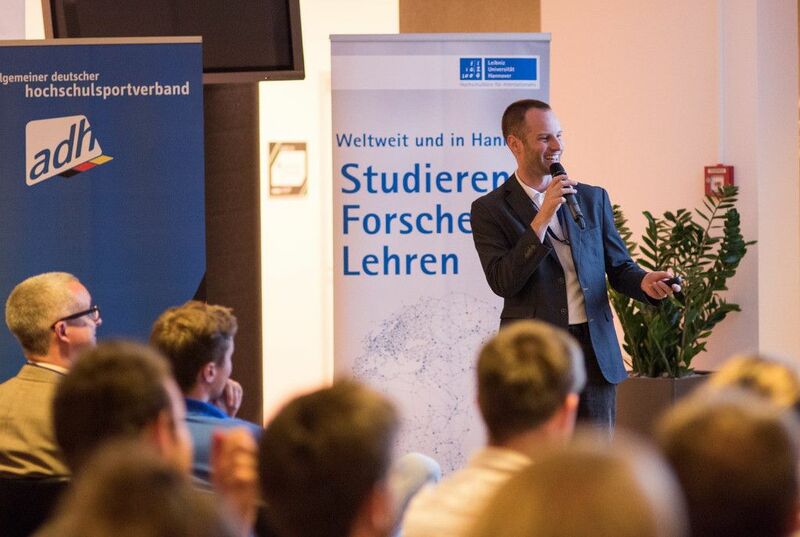 While the rowers from all over Europe fought for medals, the German University Sports Federation (ADH) held a conference on September 11 on top-level sports at universities and the topic of dual careers. 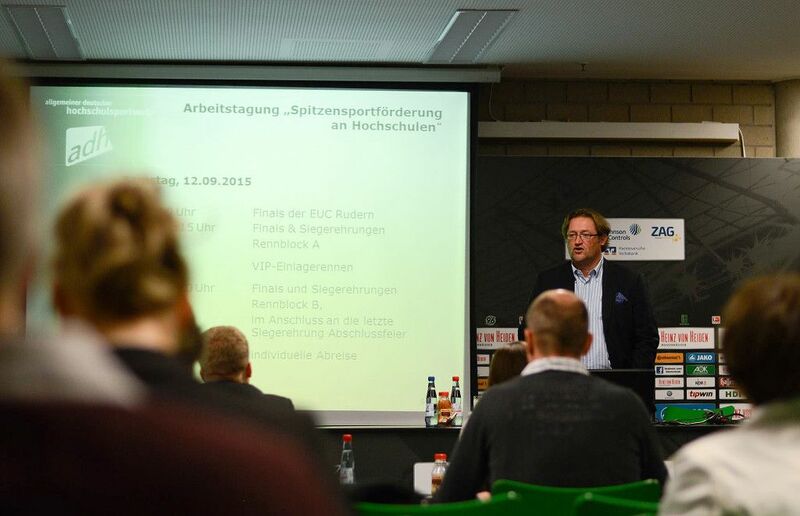 During this event, representatives of universities and experts provided an insight and experiences of the promotion of top-level sports at German universities. While all races proved to be very interesting, the most prestigious races were those in the end – the eights. In the female eights W8+ the University of Cambridge (GBR) took home gold, followed by the Swiss Federal Institute of Technology Zurich (SUI) and the University of Hamburg (GER). 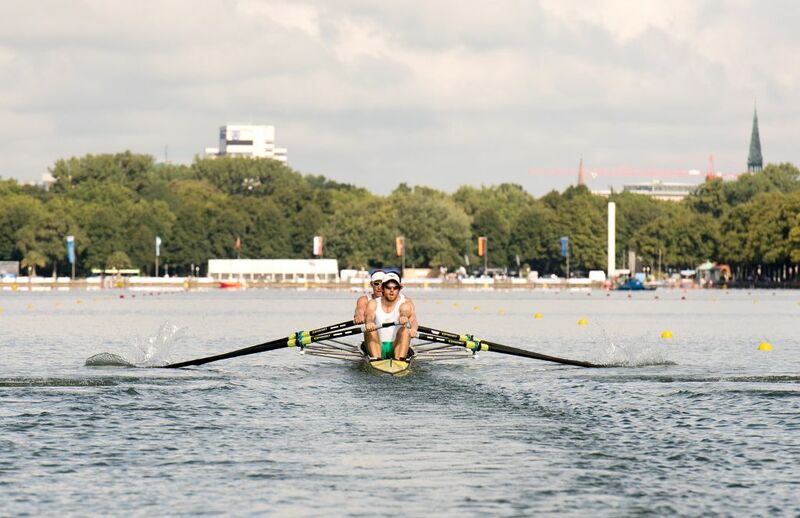 In men’s category, the Oxford Brookes University (GBR) proved to be the strongest team, with the newcomers at the European Universities Rowing Championships from the Belarusian State University of Physical Culture (BLR) claiming silver and University of Lausanne (SUI) bronze medals. Also officials and invited guests had the chance to experience their rowing skills at this year’s championship, with the special VIP race. Apart from rowing, in the spirit of promotion of physical activity, recreation and sport in general and the European Week of Sport the athletes, officials, participants, spectators, volunteers and citizens had the chance to enjoy in other activities, including more traditional like running and cycling, as well as less known like canoe polo - a kayak-basketball and fuwate - a mixture of football, volleyball and squash. The event was well-received and appreciated not only by the participants but also in the local environment. 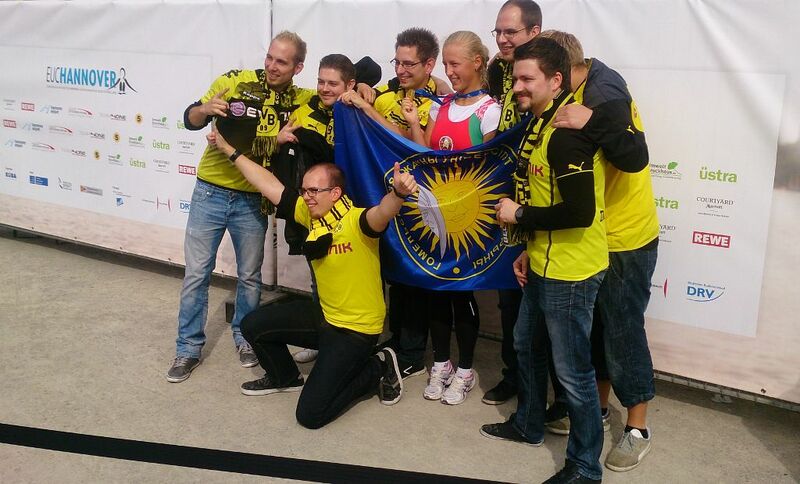 Among the spectators were also several football fans who came to cheer for their teams at the Bundesliga match between Borussia Dortmund and the home team Hannover 96. Success of the event was also possible due to the hard work of the volunteers, among them also some international volunteers who took part in the event through the EUSA volunteer programme. 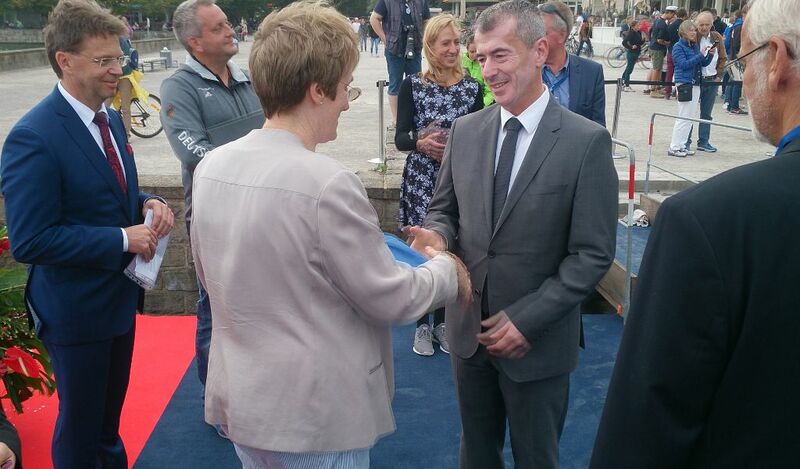 The official closing ceremony officially wrapped the European Universities Rowing Championship 2015. The EUSA flag was passed to the organisers of the 2017 championship, which will be held in Subotica, Serbia. 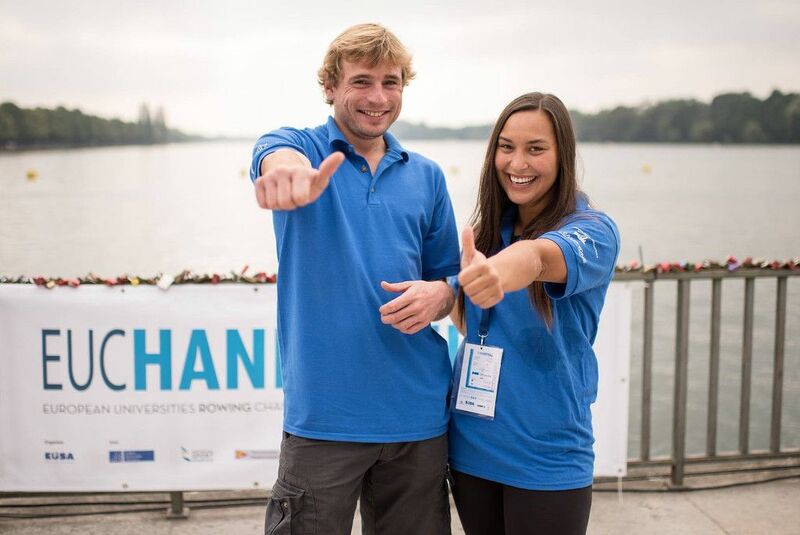 European Universities Rowing returns otherwise already next year for the European Universities Games Zagreb-Rijeka 2016. For more information, results and photos, please see the official website www.euc-rowing2015.eu.